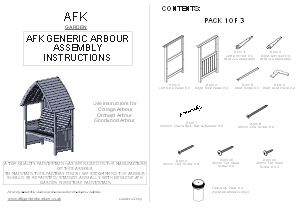 AFK Garden products are finished with a high quality two-product finishing system designed specifically for the substrates used in their manufacture. The softwood timber is given enhanced protection against sunlight, knot discolouration and moisture ingress through a primer/topcoat combination developed at Sherwin-Williams exterior R&D laboratories in Italy and Sweden. These waterbased coatings are low environmental impact products, therefore solvent emissions are reduced by 95% compared to solvent based systems. Using the latest robotic spray application AFK ensure that these high performing products are applied to controlled production specifications, ensuring consistent, repeatable product quality everytime. With coatings for wood from Sherwin-Williams global wood finishing range, AFK’s product portfolio benefits from long lasting and weather resistant coatings that are trusted by manufacturers and developers worldwide. AFK’s full range of products are manufactured using our FSC® certified timber ensuring our material is from responsible and properly managed sources. 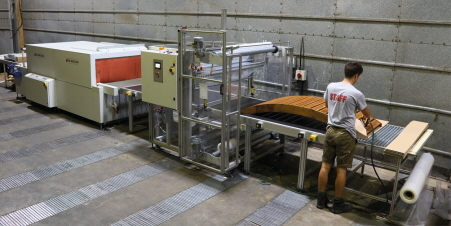 Combined traditional construction methods with state of the art machinery, our FSC certified timber comes from slow grown Scandinavian Redwood. With traditional mortise and tenon joints that are also glued and pinned together giving superb strength and a consistent build quality. 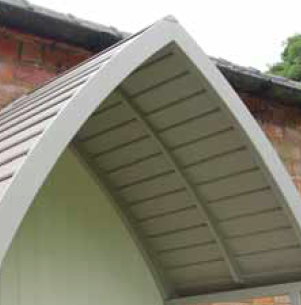 The addition of a middle support spine gives the roof better strength and stabilises the roof slats. We have also added robust end cardboard packaging to reduce damage in transit. 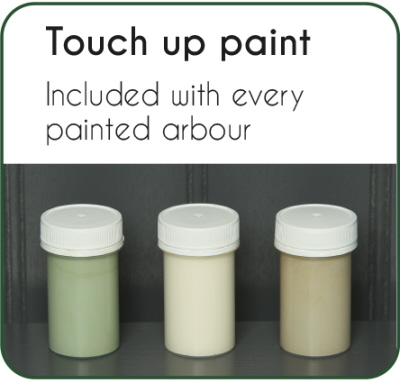 Free touch up paint now packed with every painted arbour. 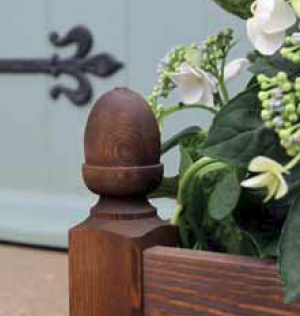 Turned acorn finial and raised chamfered foot give a great contemporary feel to the solid acorn range. Hand crafted, ergonomically designed curved Arbour seat for extra comfort. 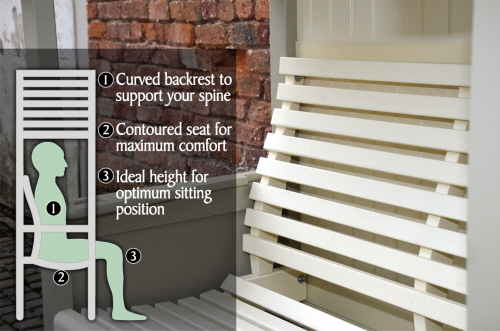 Designed and tested to give the best possible seating position, fitting to the natural contours of your spine to fully support while you relax.